Being a child of the 70’s I grew up on “classic rock” – The Who, Little Feat, The Rolling Stones, Led Zeppelin, Santana, etc. It wasn’t until I got to college that I really discovered jazz and soul in a big way. Little did I realize that I’d been listening to one of the best jazz and soul bands around since the 8th grade – Steely Dan. 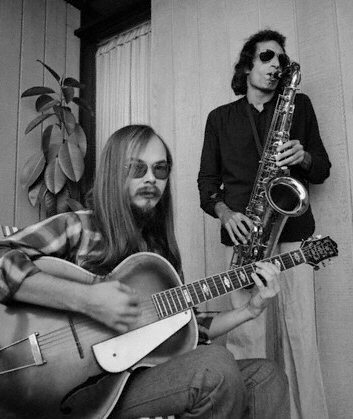 Steely Dan was basically two white guys from upstate New York (shout out to Bard College!) who played some of the most sophisticated (and funky) music around. Starting out in the early 70’s Steely Dan’s albums were known for their precision and clarity. Some of the biggest names in jazz, funk and rock played on their LPs – Bernard Purdie, Chuck Rainey, Larry Carlton, Rick Derringer (! ), Wayne Shorter, Steve Gadd etc. etc. For a long time they were a studio only band but (lucky for us) they started playing live again in the early 90s. This clip is a live one from 2000, and features a song from what is probably my favorite Steely Dan LP 1975’s “The Royal Scam.” The song is loosely written about Owsley “Bear” Stanley. Enjoy!